As a kid, no one thinks, “When I grow up, I want to be a tire magnate!” Especially not Bob Schwenkfelder, the founder of Commercial Tire. Even so, the upbringing he had set the standard for who he would become. Guided by his dad’s unflinching work ethic, his family lived under the philosophy that hard work and common sense will take you a long way in life. And they did. In 1963, as a broke college student, Bob got a job at a tire company. Two years later, he went to work for Firestone. And in 1968, he launched Commercial Tire. 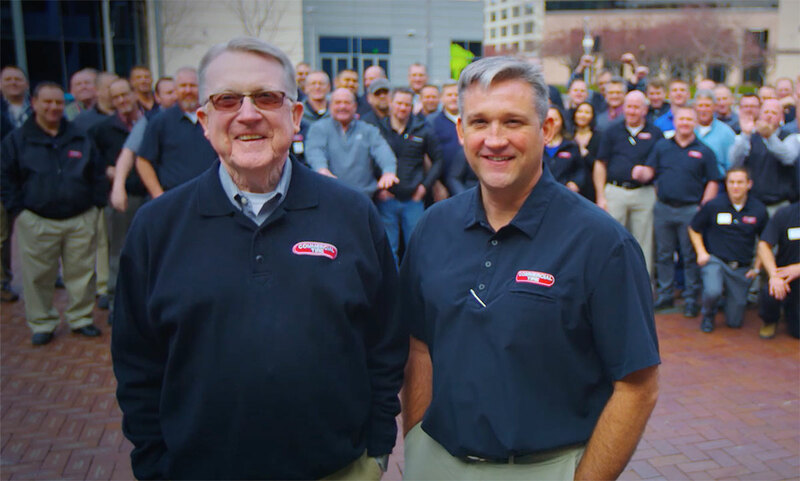 Still rolling after 50 years, he’s gone the distance to build a legacy and a company his dad would be proud of—and that his own son and daughter now help run. Family driven. It’s how we roll..
Real comments from our family of customers. I recommend them to EVERYONE!!! Always a very good experience. they have taken excellent care of me for years. Great service! I get treated as family! Great same day service for an oil change, fixing a tire and checking vehicle brake condition. Our car needed major repair. I thought it would be a week. They had it fixed the very next morning. They were helpful, fast, and—most importantly—kept it in our budget range. Excellent service and assistance. Just like the old days. Great work! Thanks.